Three weeks ago I was looking into the "All Time Worst Performing World Champion - after winning the cup". Today, let's have a look at the world champions that did manage to live up to expectation, or even performed beyond that. While current champion Spain still has one year to improve on their record, the Confederations Cup saw them dropping one place in the top 10 of all time. In 1990 West Germany certainly was no crowd pleaser at the World Cup in Italy. They were mostly solid, and lucky against England in the semifinal. After that, the team wasn’t a bad World Champion at all, although they did lose seven matches. Achievements: reaching the final of the European Championship 1992, losing 2-0 to outsider Denmark. Disappointments: losing to Wales and the Republic of Ireland. Also losing most big matches, against The Netherlands, Brazil, Italy and Argentina, with just one victory over Brazil. 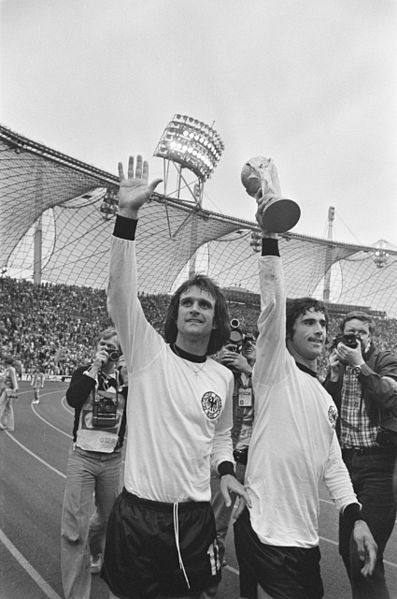 After beating surprise act The Netherlands in the final, West Germany continued their good form in the four years of their reign, managing 19 wins out of 32 matches. Achievements: Reaching the final of the European Championship for a second time in 1976 in Yugoslavia, (to be beaten by the world famous Antonin Panenka penalty). Disappointments: Only losing to England (1975) and France (1977), West Germany strongly believed they could maintain the title in Argentina. Losing their last two preparation matches (0-1 against Brazil and 1-3 against Sweden) before the World Cup, destroyed their confidence and for the first time since 1962, they failed to reach the (semi)finals. 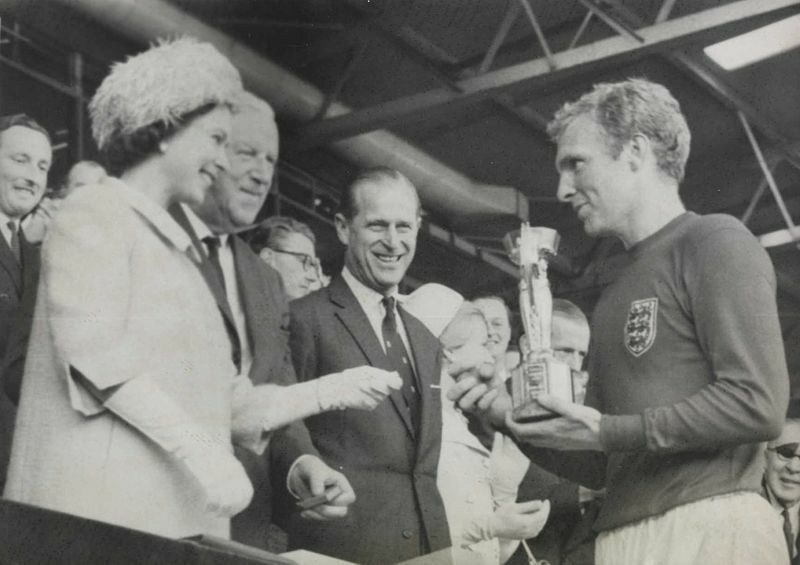 In 1966, England became the fifth country that won a World Cup. A title well deserved, if only for their influence on the development of the game. After that, England managed to win 23 of their 37 matches, losing only four times in four years. Achievements: third place at the European Championship 1968. Disappointments: losing to Scotland (1967), West Germany (1968) and Brazil (1969), but most of all losing the semifinal against Yugoslavia 1-0 (goal by Dragan Dzajic) at the European Championship 1968 in Florence. For the first time since England in 1966, a new country, France, (again at home) was crowned World Champion in 1998. Finally, it belonged to the big soccer nations. And they lived up to the expectations their newly conquered status brought. Not only by winning many matches, but by claiming titles as well. Achievements: Two years later (2000), France became the first European World Champion that won the European title. Twelve years later, Spain equalled that. Also, France won the Confederations Cup in 2001. Disappointments: None. Losing to Australia at the Confederations Cup 2001 was a big failure, but held no further consequences. 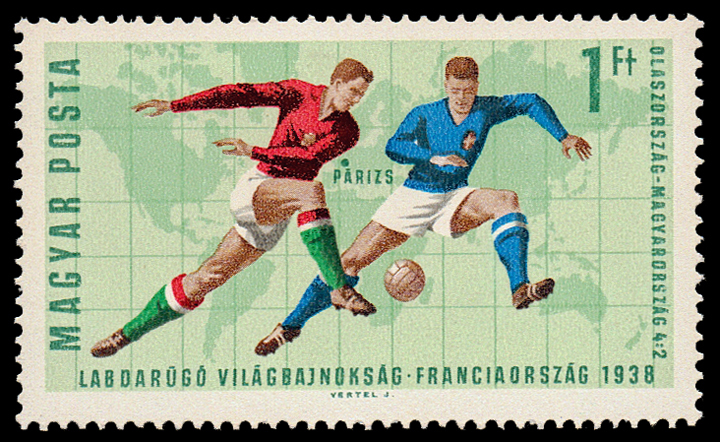 After their World Cup win in 1938, Italy had little time and opportunity to show the world how great the team was. But they can only blame themselves and Germany for that. Still, they had pretty good results until the summer of 1942 (during which year the next World Cup would have been played). Achievements: winning most of their matches against the strongest teams of the European continent, especially winning twice against Germany. Disappointments: losing to Switzerland (1-3) and losing big (5-2) against Germany, both in 1939. With Pelé’s retirement, Brazil lost their best player ever. Still, there was enough talent around to have a positive outlook at the next World Cup in Germany, in 1974. During this four year spell, Brazil hardly lost any games (only two), but were held to a draw by numerous countries, i.e. Austria (three times), Yugoslavia, Hungary, Czechoslovakia, Argentina (twice), Mexico and Greece. Achievements: No real successes, except winning the Independence Cup (celebrating 150 years of Brazilian independence) in 1972. 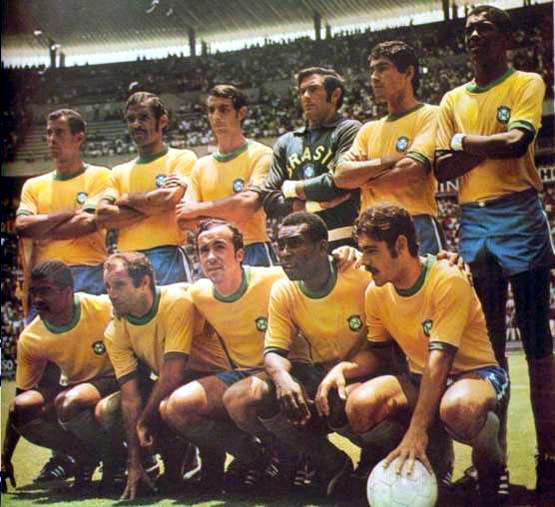 The Copa America was not played between 1967 and 1975. Disappointments: The lack of goals and samba soccer. Brazil played defensively, winning nine times with the smallest of all margins, 1-0. Four times Jairzinho scored that goal, Brazil leaned heavily on their star striker. Losing 1-0 to Sweden (1973) and 2-0 to Italy (1973) obviously got the team very bad reviews back home. At the 1934 World Cup, Italy was a convincing champion. The team also had a great spell afterwards, winning the Olympics and defending their world title in 1938. Achievements: Winning the Olympic title in 1936, despite sending an inexperienced, uncapped team to Germany. Disappointments: Losing 3-2 against England in November 1934 was a blow. England didn’t bother to participate at the World Cup 1934, so the English could claim they were still the best in the world. With their tiki-taka play Spain has conquered the soccer world since 2008. Their World Cup win in 2010 was well deserved. While the team has the habit of outclassing their opponents, once in a while they face tougher opposition. Still, Spain’s record since 2010 is a very proud one. Achievements: Winning the European title in 2012. And remaining unbeaten in no less than 26 matches. Disappointments: losing the final of the Confederations Cup 2013 to Brazil. With the young Pelé, Brazil’s 1958 winning team is widely considered as the most talented World Champion of all time. After that victory, Brazil stayed in a class all of their own for the next four years. 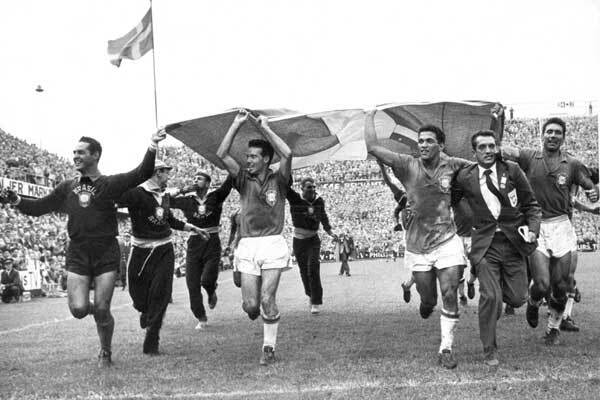 Achievements: Of the last sixteen matches before the World Cup 1962, Brazil won fifteen (only Argentina managed a 0-0). Disappointments: not winning the Copa America in April 1959 (without losing a match), and in December 1959 (losing to Uruguay and Argentina). Their record was further damaged by awarding the matches at the Panamerican Games 1960 as full internationals, although Brazil did not employ their best players. They lost at these Games to Costa Rica and Argentina. Finally, after 24 years without success, Brazil could claim their fourth World Cup title in 1994. Not in a playful way, though. Upfront, Romario and Bebeto were outstanding. Dunga was a magnificent captain and also Taffarel and Jorginho had a great tournament. But overall it was not typically Brazilian… Nevertheless the team was very hard to beat, and their record over the next four years even makes Brazil 1994 the best performing World Champion of all time. Achievements: Winning the Copa America 1997 as well as the Confederations Cup in the same year. Disappointments: losing the final of the Copa America to Uruguay in 1995.